Feature – CREATE. PLAY. TRANSFORM. What are two things that always go together? Spoon and fork. Glass and coaster. Plate and placemat. And yes, food and Ceramics! Food has recipes which involves weighing ingredients. A pinch of this, a dash of that. 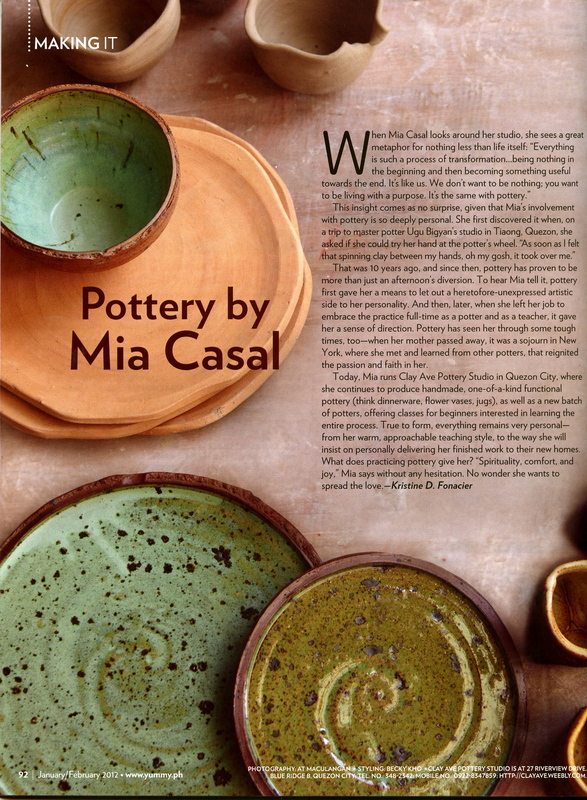 In Ceramics, Potters, weigh raw materials, to complete clay and glaze recipes as well. A hundred grams of this, a few kilos of that. 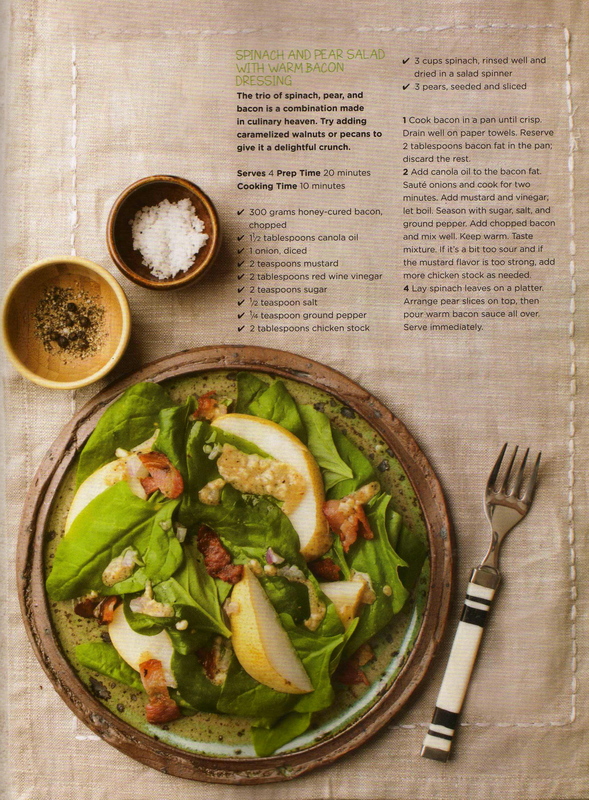 Yummy magazine features handmade Ceramics and Food Recipes in their January-February 2013 issue. Thank You, Liezl Yap (Editor-in-Chief), Rachelle Santos (Food Stylist), and Aldwin Aspillera (Photographer), for featuring my handmade creations, two years in a row! One busy afternoon at the pottery studio in December 2011, I received a phone call from Becky Kho (Editor In Chief for Yummy magazine). She told me that the magazine is going to have a new section on Filipino artists, who make products that can be matched with food. 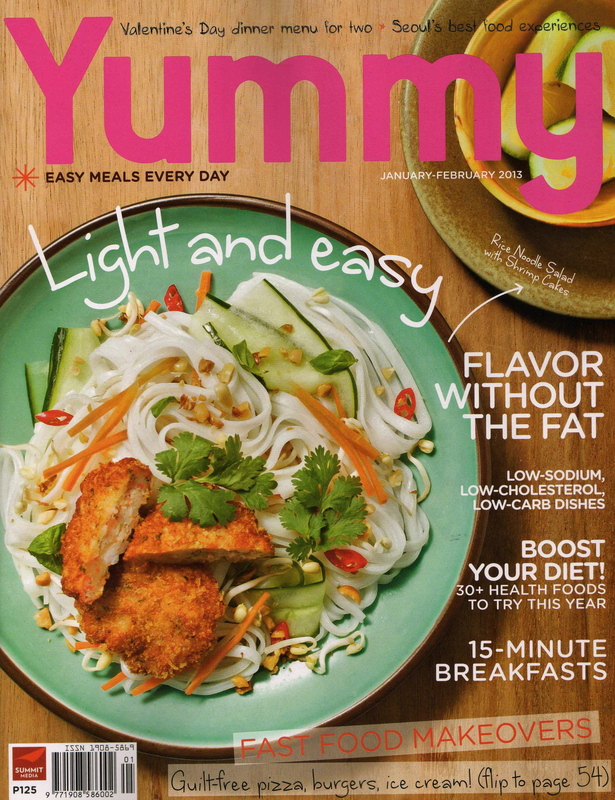 The new column is called, “Making It.” Yummy is a food magazine in The Philippines, which shares quick and easy recipes, with not-so-hard-to-find ingredients. One doesn’t have to be a chef, to create the amazing dishes they feature each month. 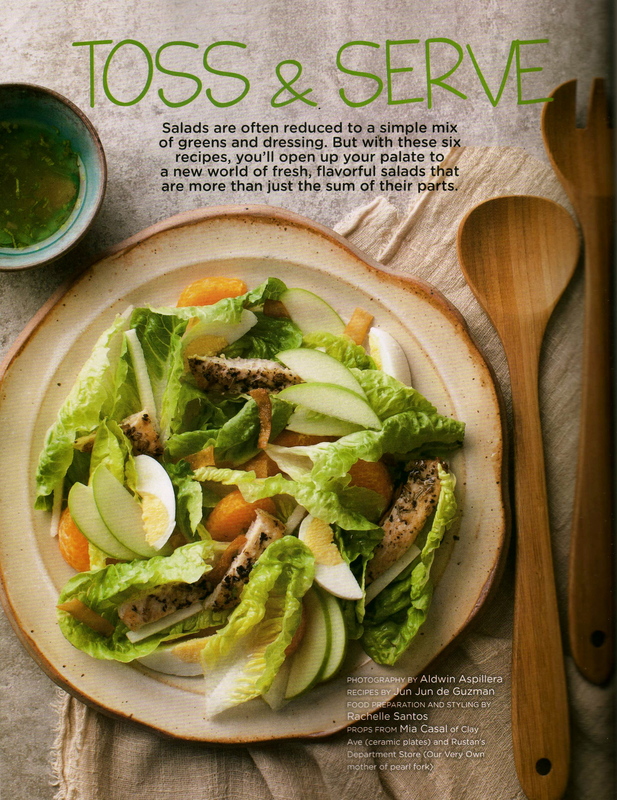 I am very thankful, to be chosen for the new column, in their January-February 2012 issue. 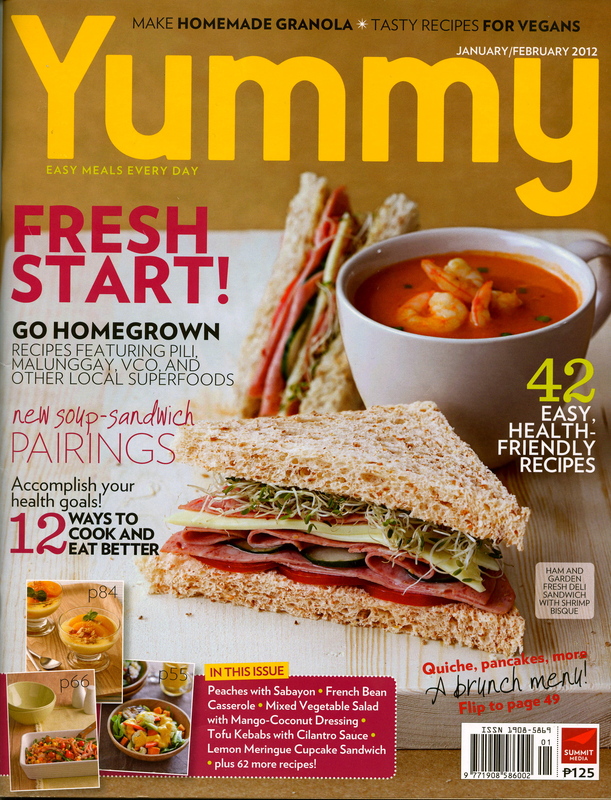 So here I am, all excited, to get a copy of Yummy mag. Straight from the pottery studio after work, I would go to bookstores on Katipunan in Quezon City, and see if they’re on the magazine racks already. Not really caring if people were looking at me with my muddy clothes on. Sometimes I forget that I’m such a mess. It is my first feature on a full page in a local magazine. So yeah, I am excited. Finally, I got myself a copy today from a supermarket in Libis, Q.C. The cover of the magazine looks yummy already. The photos and fonts are easy on the eyes and clean looking too. 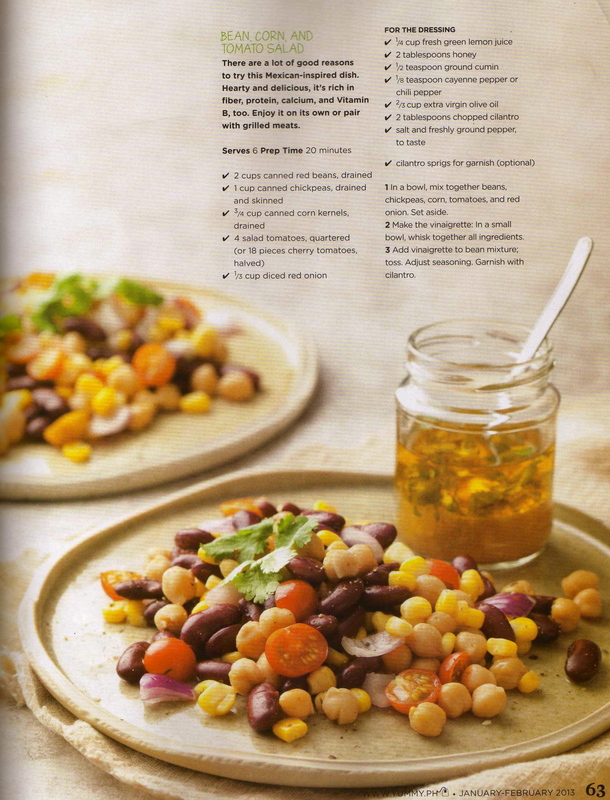 I found some great recipes that I can actually make for myself (others too if my version is excellent). I am on a fish-veggie-fruit diet since July. 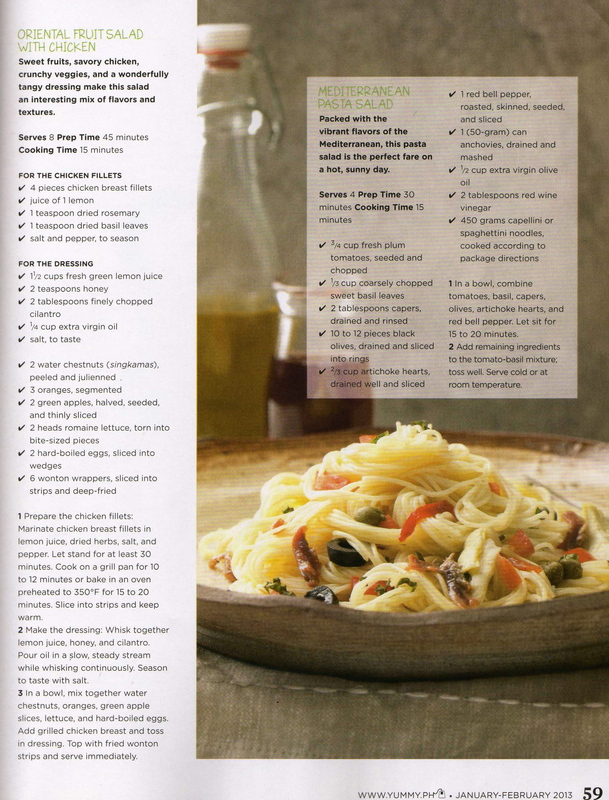 After seeing several and easy recipes in the magazine, I get all excited to try them all! Here’s what I will definitely try: cilantro sauce, Swiss muesli, and smoked fish broccolini penne. After turning all the pages, there they are : ) My babies made from mud, sweat, and cheers! 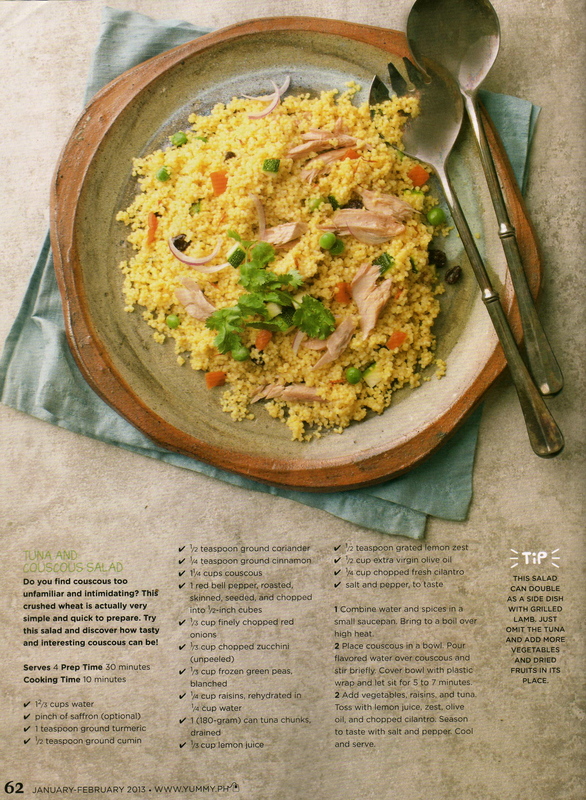 After browsing through the magazine, the whole excitement has brought me to visions of great dinnerware that I will create in 2012! All handmade of course, and inspired by our local food. All pieces can be used by vegetarians, raw vegans, people who are trying to be healthy, and all the food lovers, who don’t really care with how much fat, sugar, and carbohydrates they put in the bodies. Food and dinnerware. A perfect combination. One couldn’t function without the other. 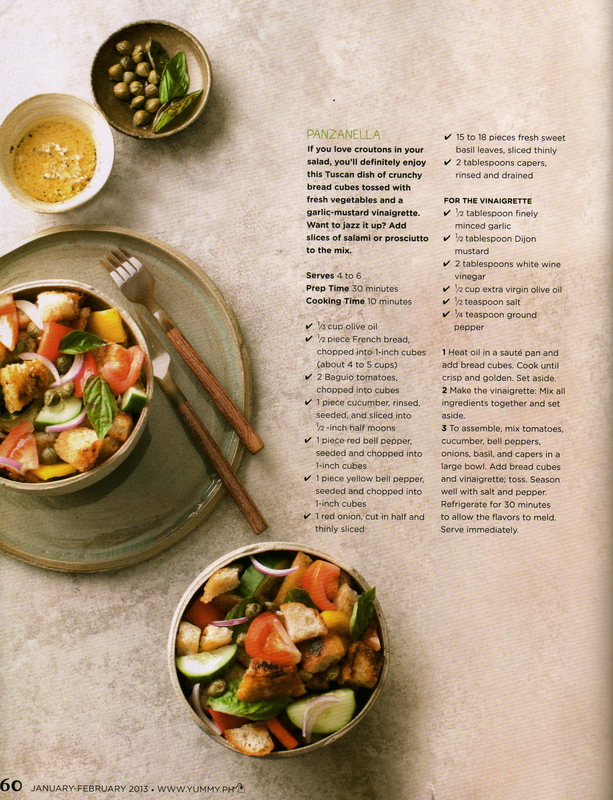 To all the foodies, who are passionate about creating unique recipes, it’s about time that you make your own pots too! Are you a chef, a culinary or pastry student, or someone who just loves to cook? A special pottery class is waiting for you at the mud pit in Quezon City! Wash those garlic smelling hands and make them dirty with clay! I also accept custom made orders for home stores, small restaurants, cafes, and private homes in Manila and rest houses around the country. 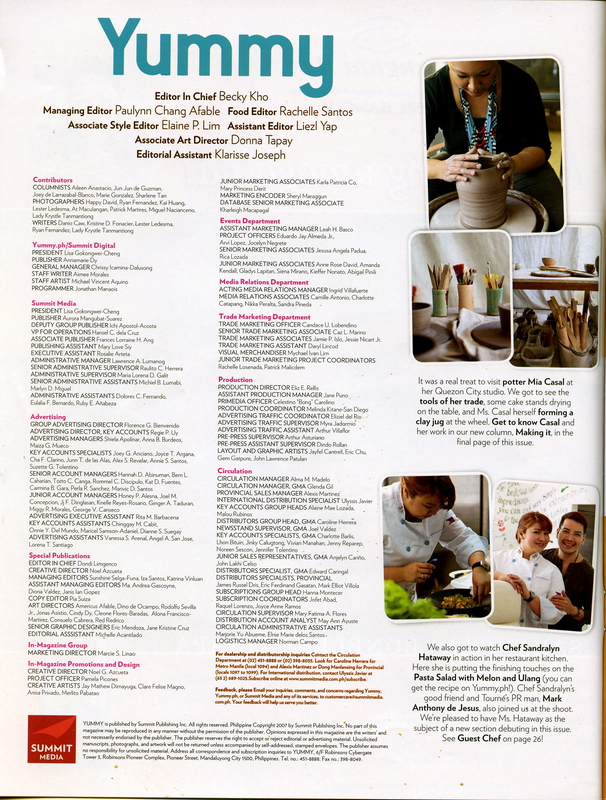 I would like to thank Yummy magazine: Liezl Yap (Assistant Editor), who is currently a student at Clay Ave Pottery Studio. Becky Kho (Editor in Chief), for styling the pots on the table. At Maculangan (Photographer), for taking nice shots of my babies. And Kristine D. Fonacier, for consolidating the interview pretty well! It’s a Happy and Yummy New Year indeed! Thank You for supporting Filipino artists! For inquiries about pottery lessons, please visit http://clayave.weebly.com. You can also contact Manila potter, Mia Casal at these numbers: +632 9665168 or 09178071978. Pottery studio visits for custom made orders are by appointment only.